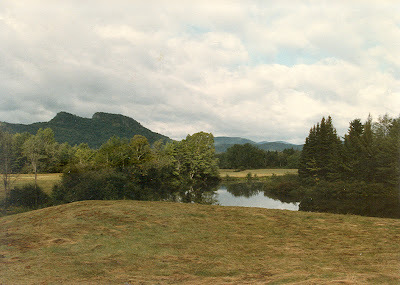 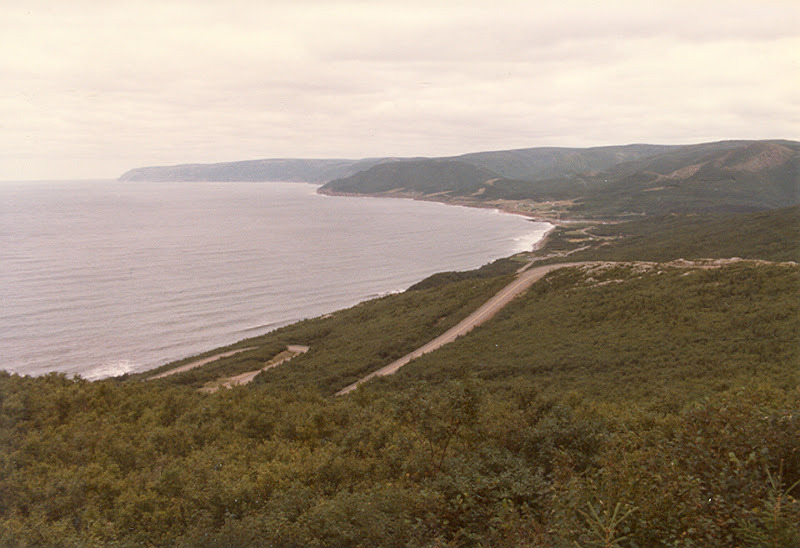 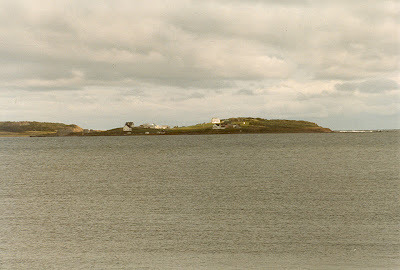 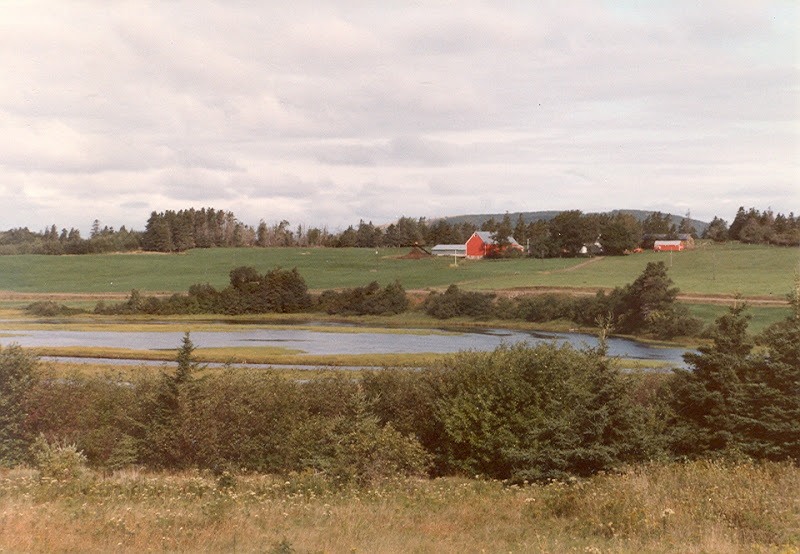 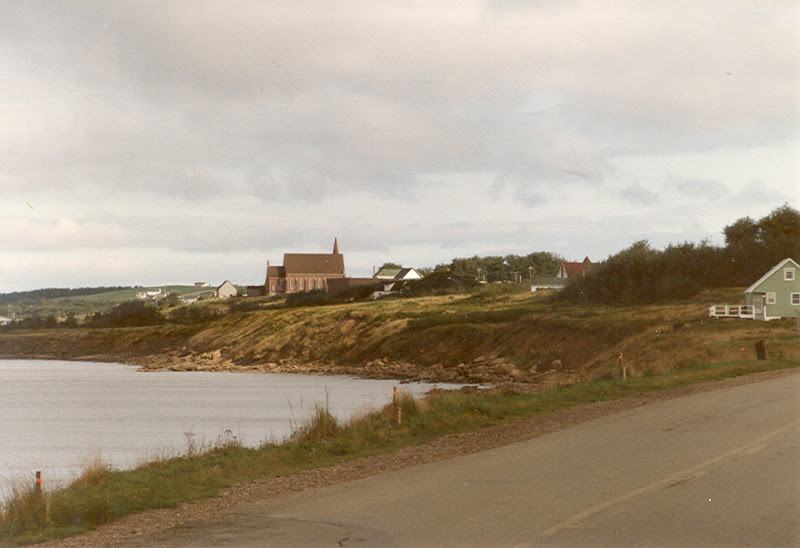 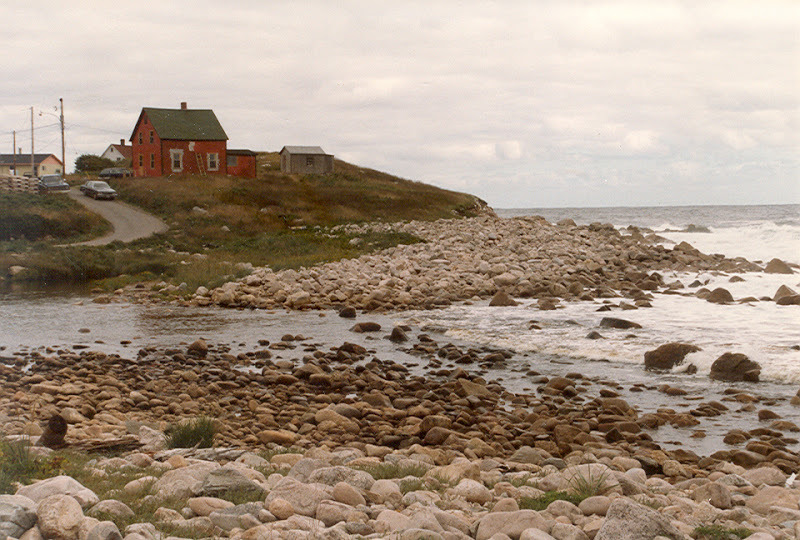 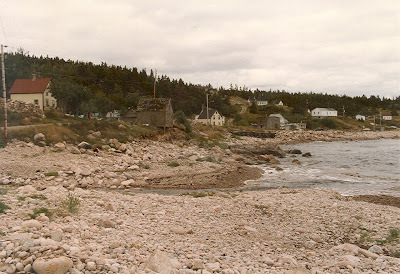 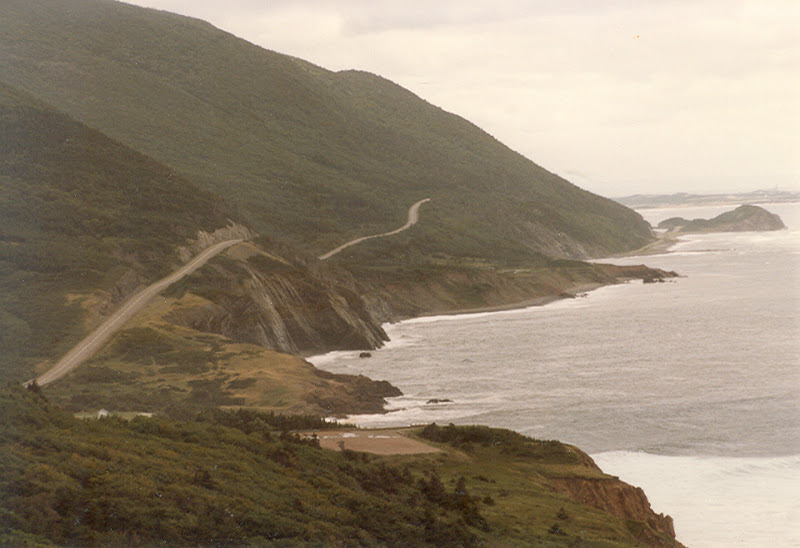 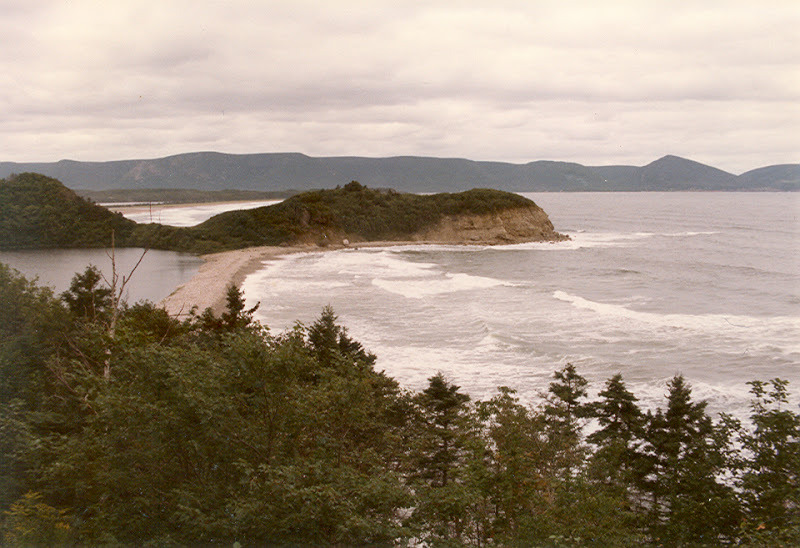 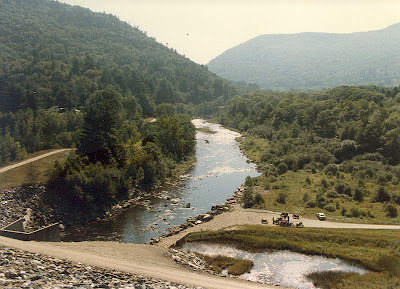 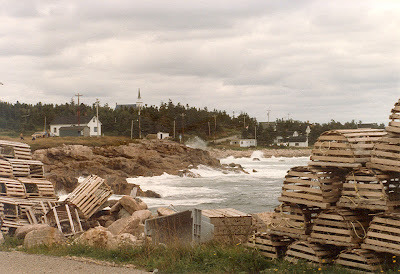 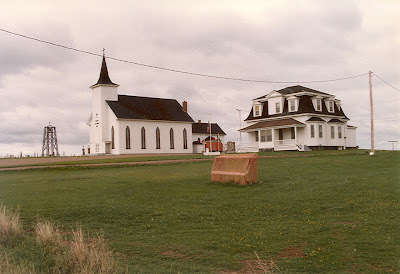 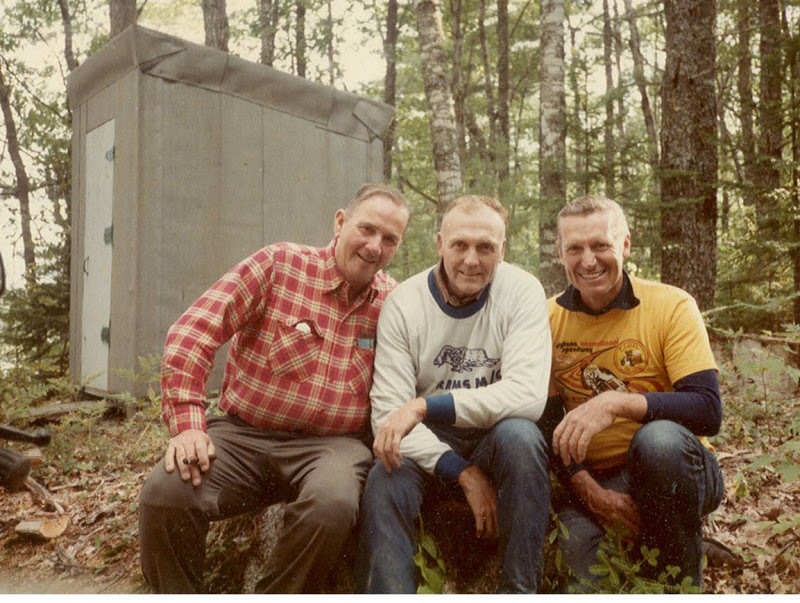 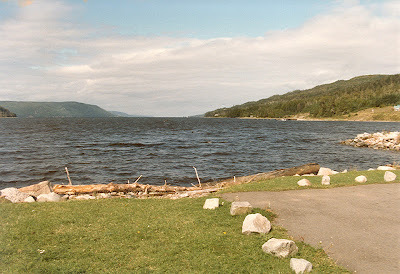 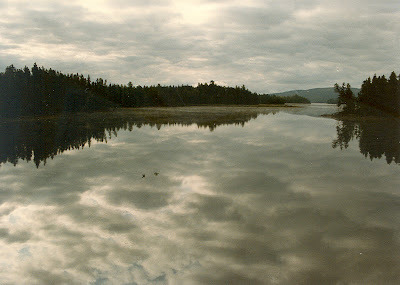 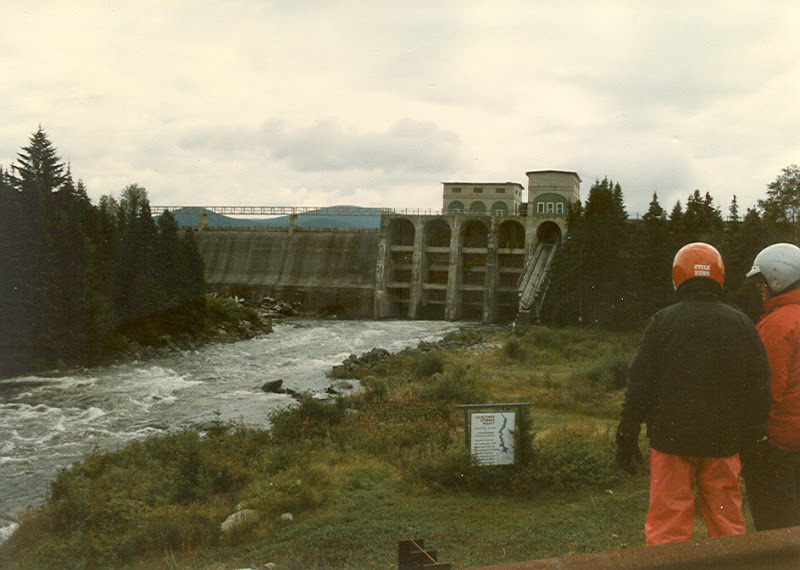 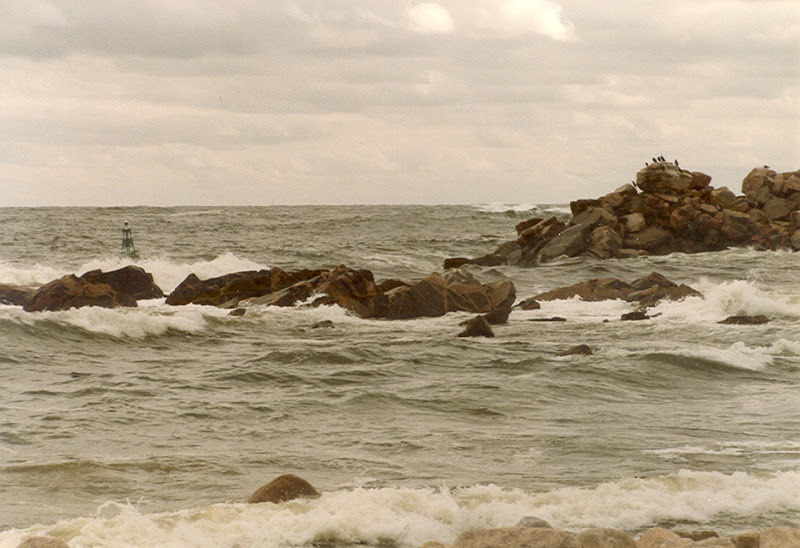 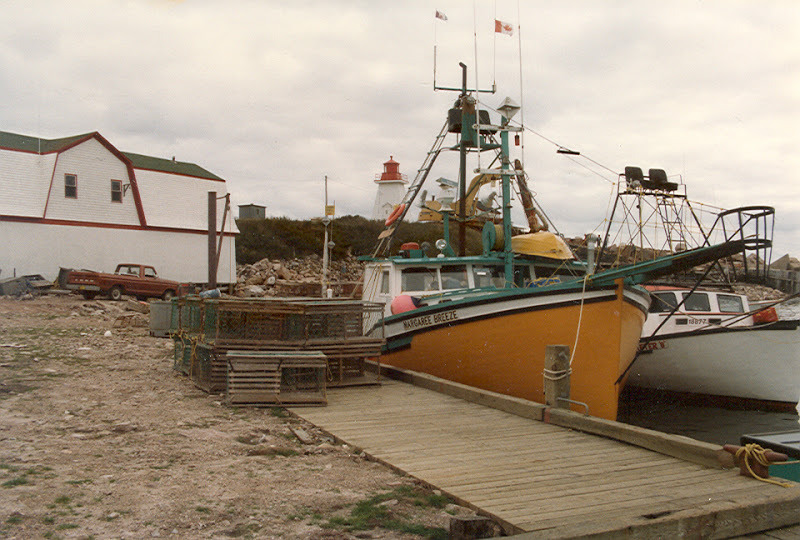 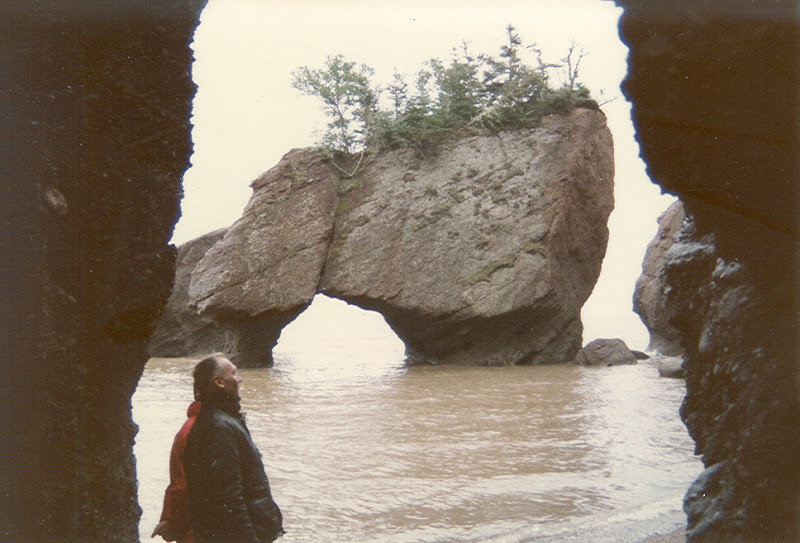 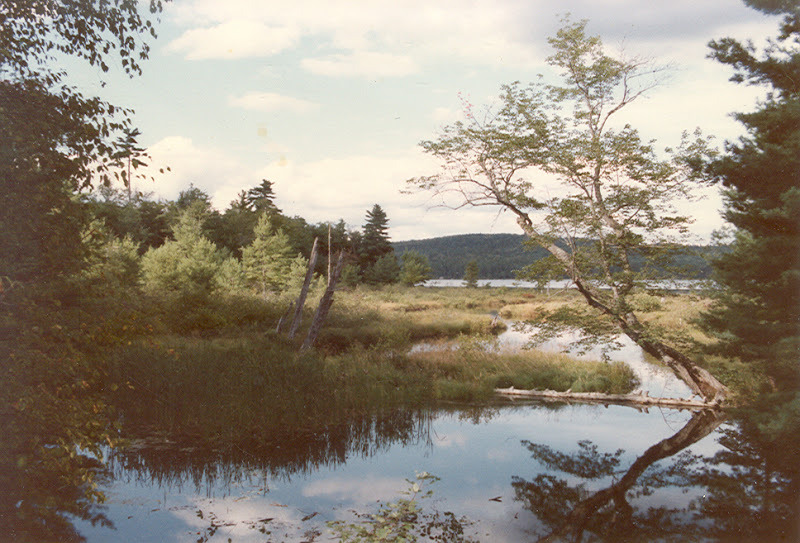 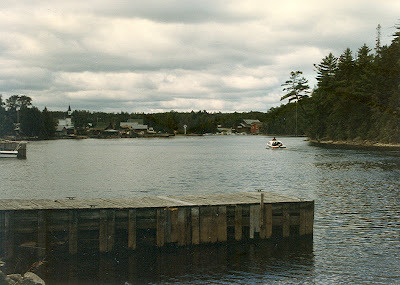 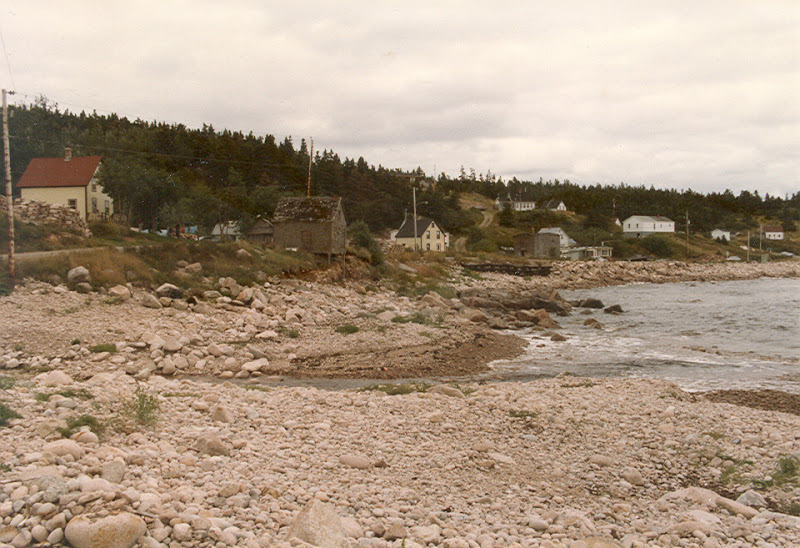 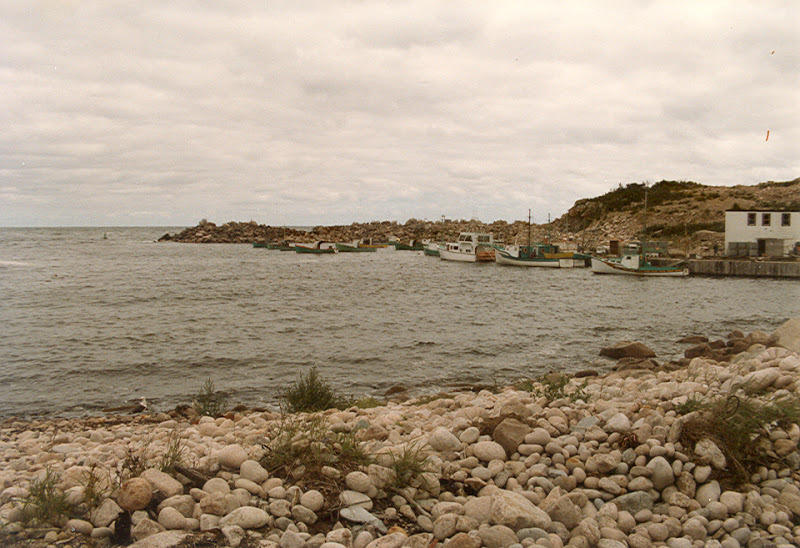 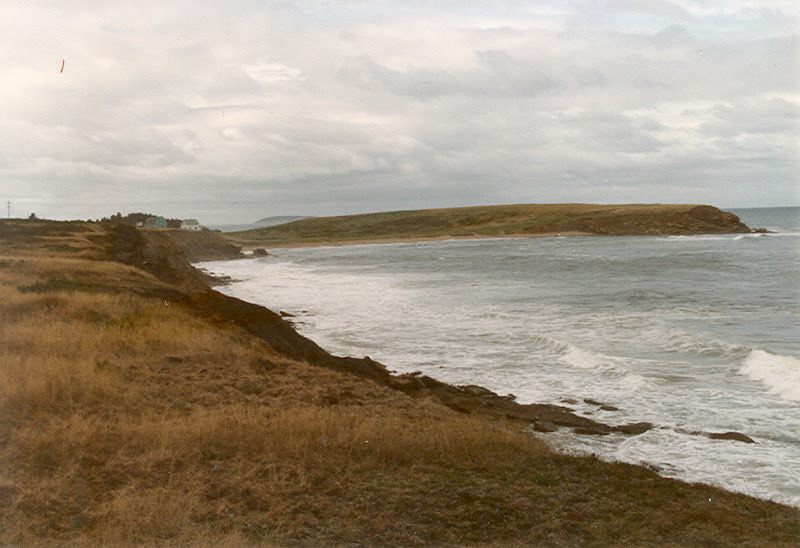 Bud Peck, Ed McIntyre and I toured the coastline of Nova Scotia and New Brunswick in late August 1986. It was a fun ride with long-time buddies who were also fellow club members of the RAMS, a famous New England enduro riders’ club. 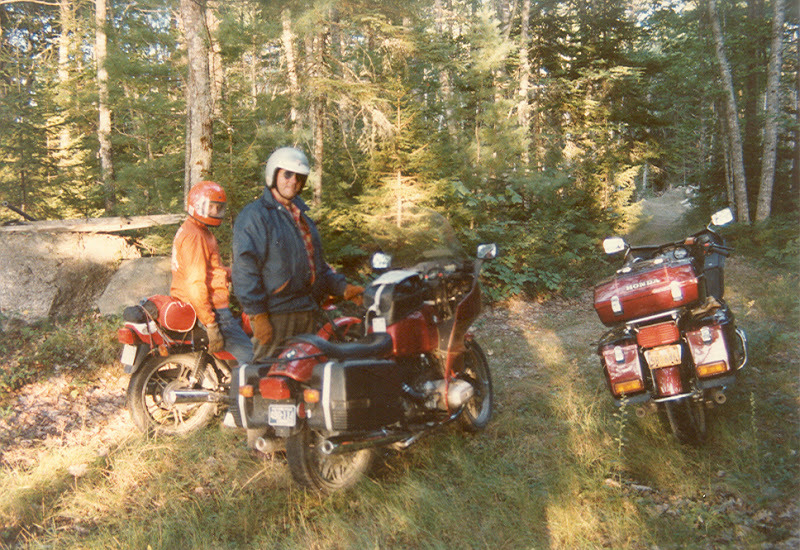 Bud rode his Yamaha XJ550 Seca, Ed rode his BMW R80RT and I rode the same 4-cylinder GL1100 Honda Gold Wing that I took to Alaska in 1983. The bike was getting close to 100,000 miles on it by this time. 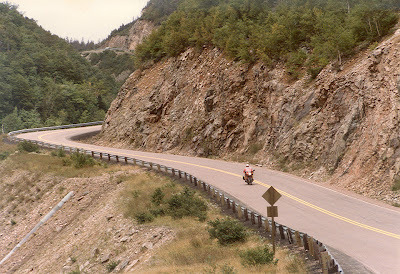 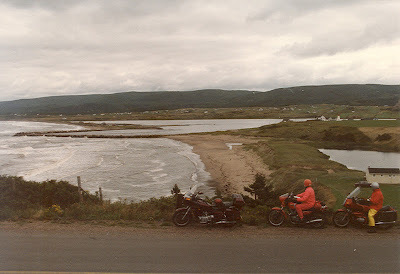 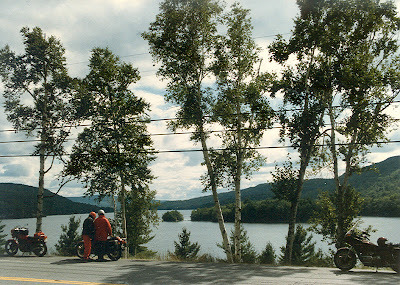 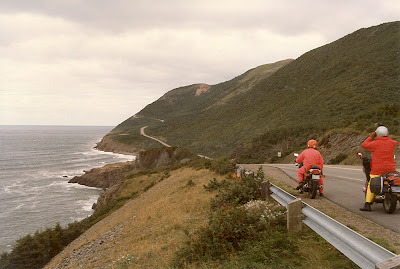 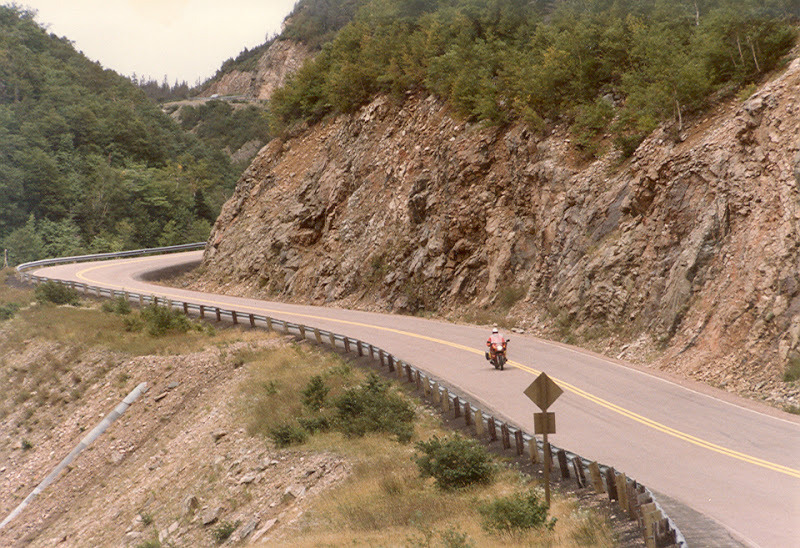 I remember several incidents from the ride, but one stands out: It was when we stopped for lunch at a small roadside restaurant near Inverness on Cape Breton Island and the young fellow who waited on us looked outside at our bikes and said, “Wow, I've never seen three elderly gentlemen like yourselves riding motorcycles.” He was even more impressed when we told him we came from the US. 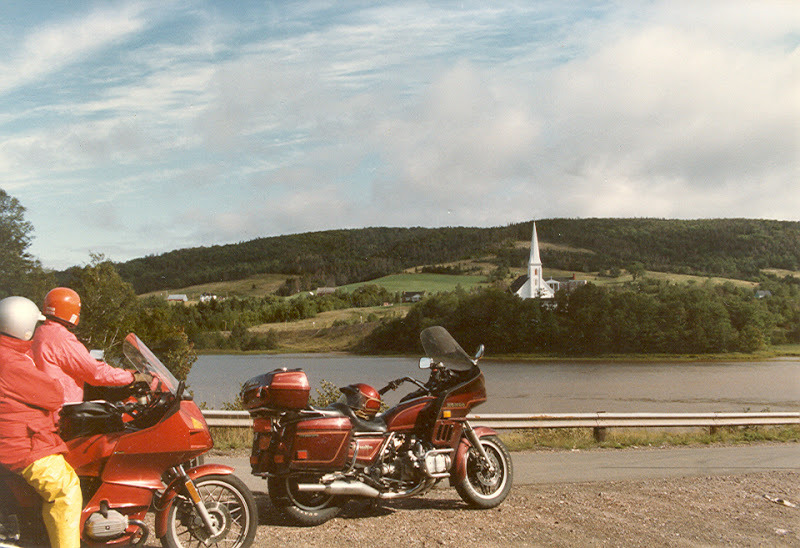 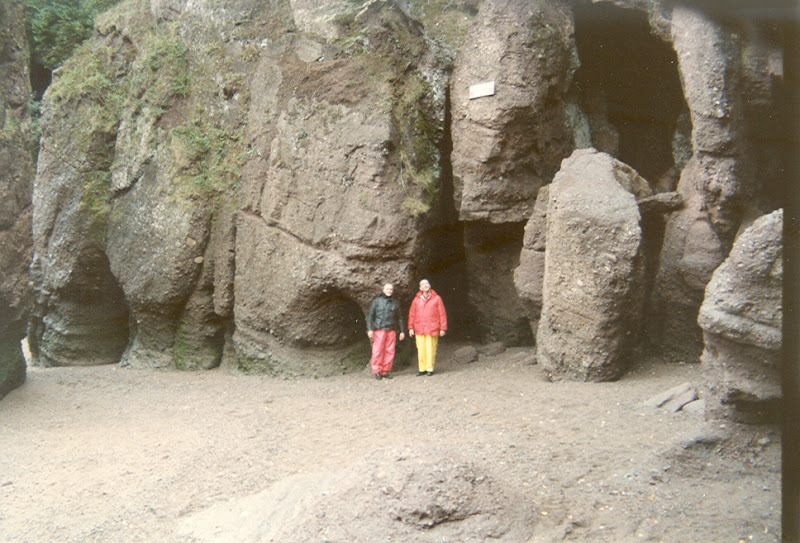 Maybe we did look rather odd. 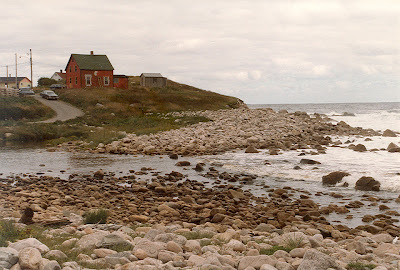 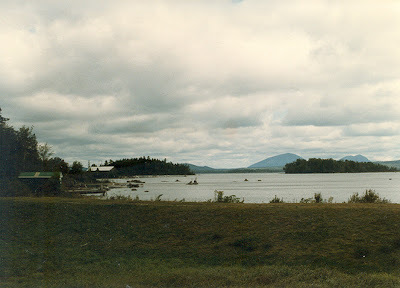 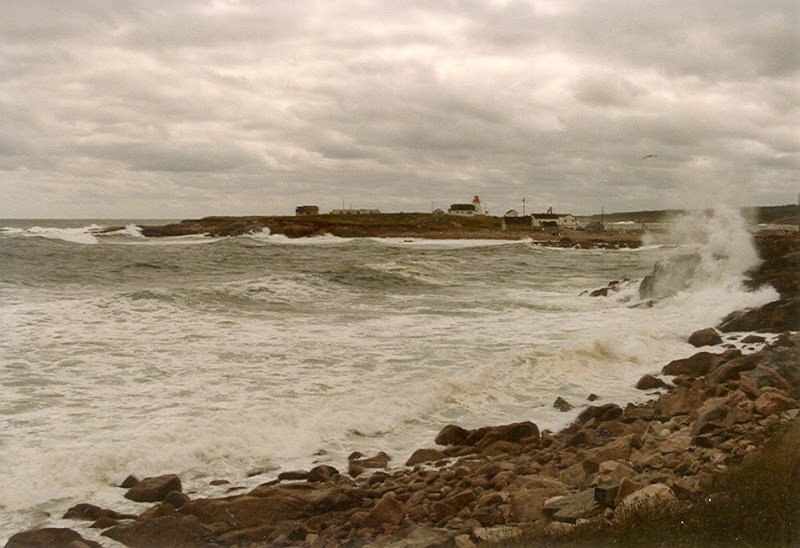 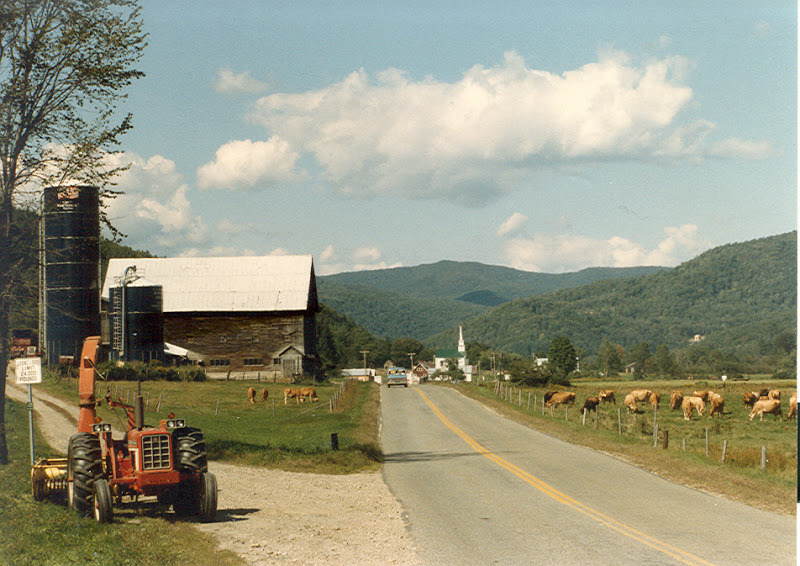 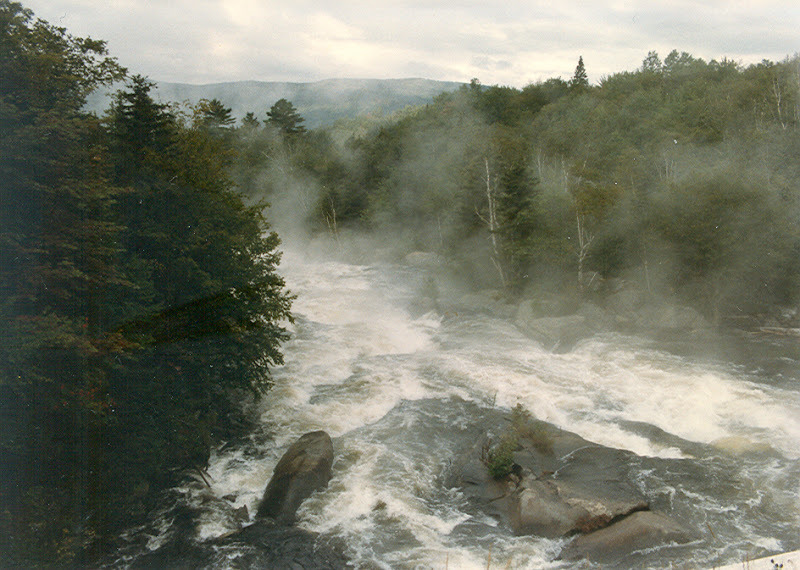 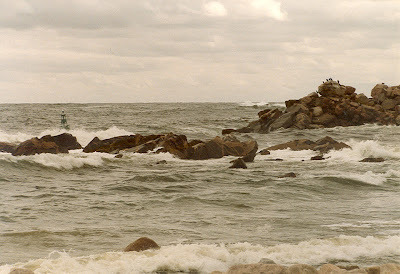 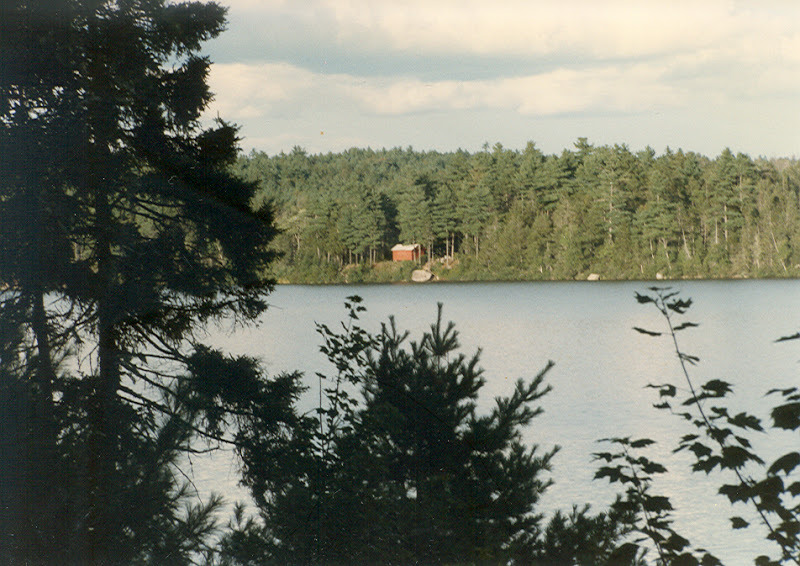 Approaching Charlie's camp in Maine. 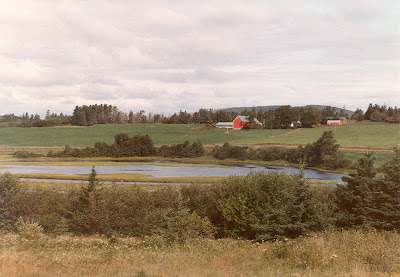 A view of the pond from the kitchen window. 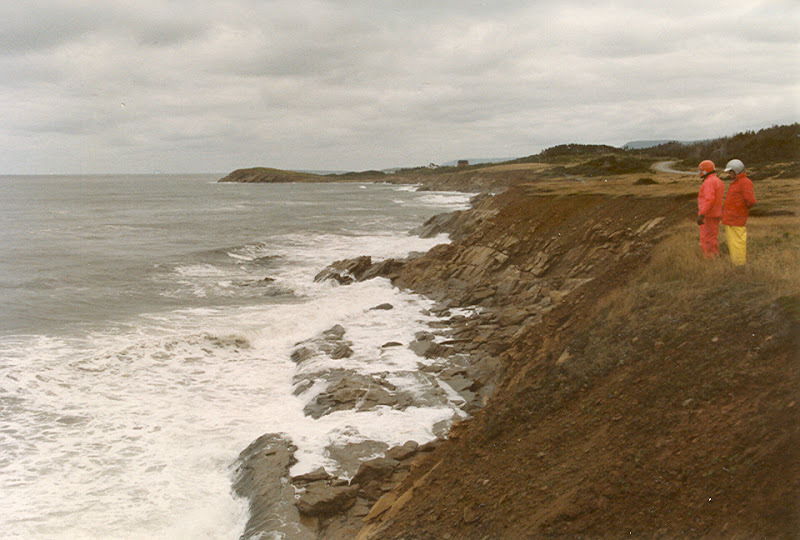 We stopped at the Bay of Fundy - the tide was going out at the time.